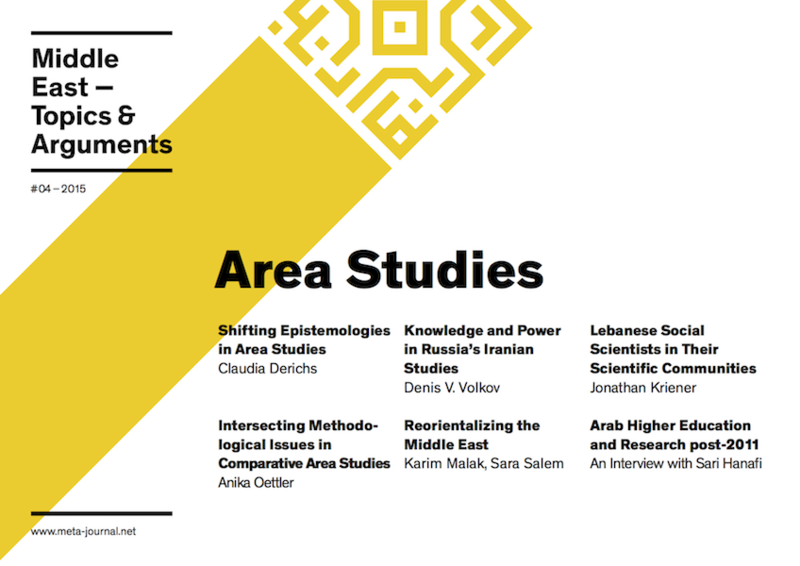 Area studies suffer from various epistemic borderlines which have been drawn and grown during decades of constructing a 'world order' that is ultimately defined by political power relations. The question of what constitutes am 'area' or a 'region' is a timely and contested one. Moreover, epistemic borderlines have been constructed by a hegemonic way of identifying academic disciplines. The separation between area studies and disciplines, too, is a decision based on global epistemic power relations. The following paragraphs address the constructivist dimension of area studies and disciplines. The main argument is that area studies and disciplines are in no way bound to geographical settings but derive from a politically-informed defining and 'scaling' of localities, ethnicities, languages, religions, and cultures. Derichs, C. “Shifting Epistemologies in Area Studies: From Space to Scale”. Middle East - Topics & Arguments, Vol. 4, May 2015, pp. 29-36, doi:10.17192/meta.2015.4.2981.